Now that the weather is warming up, many homeowners’ thoughts are drifting toward relaxing days spent soaking up some sun by the pool. Early spring is a great time to install a pool so the family has a go-to hangout by the time summer arrives. 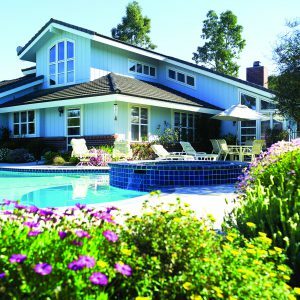 Some yards may not be large enough for pools, while others may not meet the zoning requirements set forth by the town. Still other yards may have soil that’s not suitable for putting in an inground pool, or may have a high water table that can delay construction. Will a pool be enjoyed enough to warrant the cost? Homeowners who live in areas that get many hot days will likely get their money’s worth. But if the climate suggests that a pool will sit unused more often than not, perhaps a pool is not the best investment. Decide if you’re putting in a pool for the kids, to entertain the family or to make an architectural statement in the yard. Having a clear sense of purpose will help to guide the decision-making process. Parents of young children may be hesitant to install a pool, but today’s pool installation codes consider many of the potential hazards of a pool and attempt to eliminate them. Fences surrounding inground pools with self-locking gates, as well as locking ladders for above-ground pools can eliminate accidental falls into unattended pools. Your municipality will have a list of requirements for pools, so peruse the list prior to making your final decision. It’s important that homeowners recognize that the installation of a pool may require some heavy machinery, which can damagelawns. Fence panels may have to be removed to let in excavation equipment. Sand, soil backfill or gravel may be needed to level out a landscape, and things may get noisy and messy when the installation hits full swing.